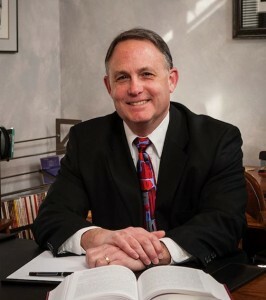 Thomas J. DelPup, JD, CFP®, is a Rochester, MI – based attorney and Certified Financial Planner™ professional, with over 30 years experience serving a diverse client base, from individuals to charitable foundations. Thomas focuses on helping clients make good decisions consistently over time to best enable them to achieve their planning goals. Clients trust Thomas to help manage, grow, and protect their wealth and legacy. Thomas is a graduate of the University of Detroit and the University of Detroit School of Law. He has a Martindale-Hubbell* AV® Preeminent™ Peer Review Rating** for attorneys. Thomas has been a Certified Financial Planner™ professional since 1994. Preparing and implementing comprehensive estate plans for the protection and transfer of assets during lifetime and after death. Design and implementation of retirement planning strategies for individuals and business owners. Life insurance needs analysis and policy status/suitability review. Business formation and startup for the entrepreneur. Designing and implementing plans to consolidate and transfer closely held business interests to succeeding generations, including the use of family LLCs and partnerships. Designing and implementing charitable gifting strategies—including charitable trusts and family foundations—to maximize philanthropic desires and minimize income and wealth transfer taxes. Advising fiduciaries in trust and estate administration matters. *Martindale-Hubbell is the facilitator of a peer review rating process. Ratings reflect the anonymous opinions of members of the Bar and the Judiciary. Martindale-Hubbell Peer Review Ratings fall into two categories – legal ability and general ethical standards. **AV®, AV Preeminent®, Martindale-Hubbell DistinguishedSM and Martindale-Hubbell NotableSM are certification marks used under license in accordance with the Martindale-Hubbell® certification procedures, standards and policies.